1. 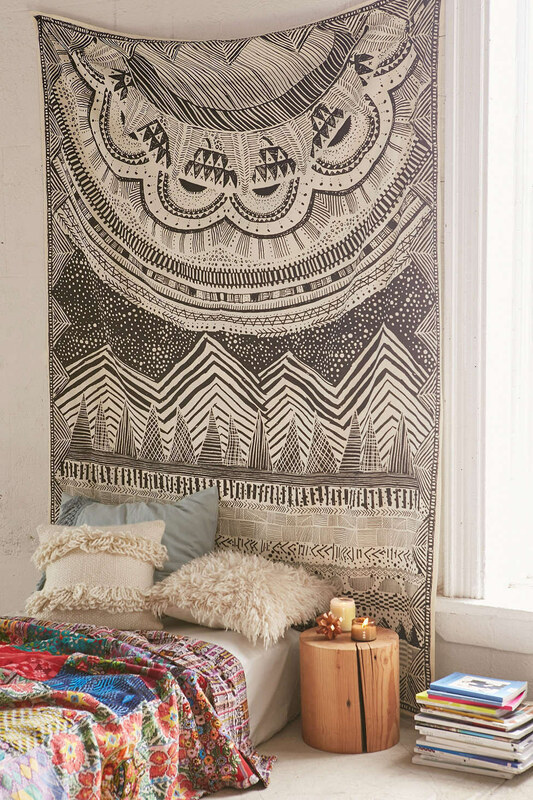 Hang a gorgeous tapestry above your bed. 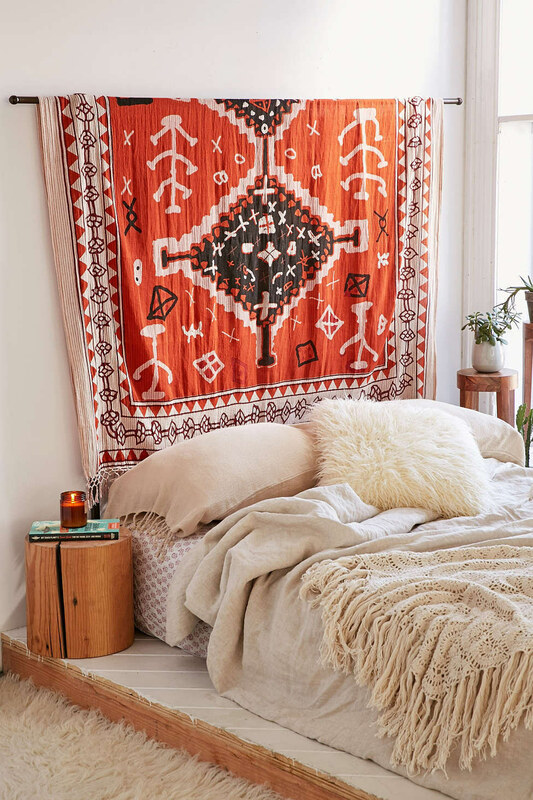 Instead of using a headboard, try decorating your space with a tapestry like these ones. Find the grey one here and the red one here. 2. 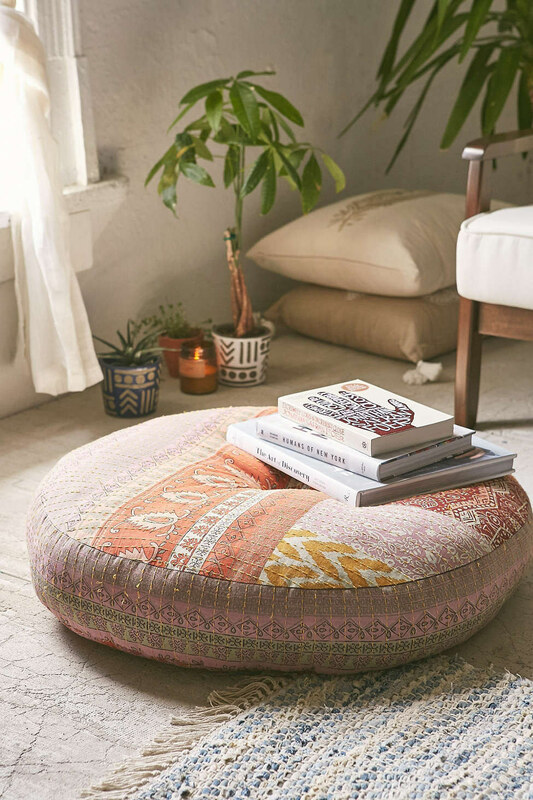 Mix and match decorative Kilim pillows. They bring texture and color and they look good with basically every type of decor. Find the pink one in the chair here and the one on the right here. 3. Use vintage Moroccan rugs as wall hangings, or as actual rugs. They can be layered to add crazy texture and color to your floors, or hung up solo as a centerpiece. Find the one on the left here and the one on the right here. 4. 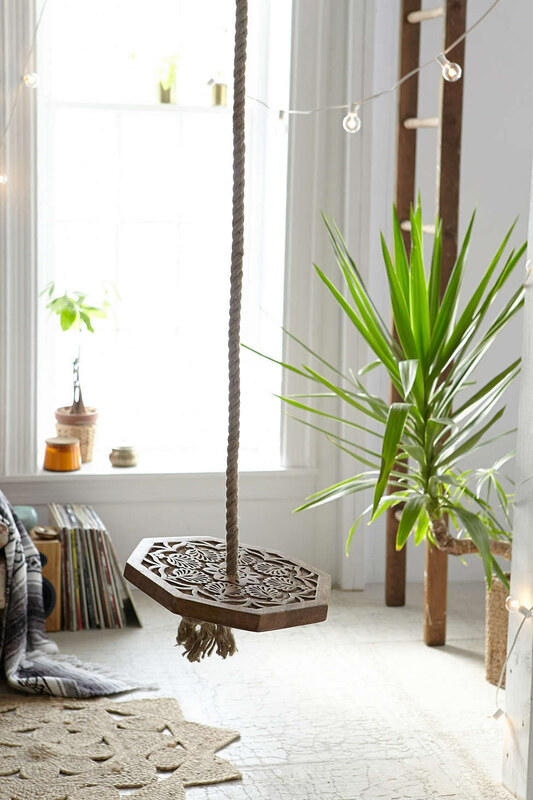 Decorate with macrame wall hangings and hammocks. Macrame is not only pretty, but it can also be functional! Who wouldn't want to relax in one of these? Find the hammock here and the wall hanging here. 5. Use some vintage rattan and natural fiber accent pieces. Natural fibers bring a sense of calm into a space. Going overboard will make your home look dated. Instead, stick to accent pieces like end tables or wicker chairs and make sure to surround them with a lot of other textural elements. Find the vintage rattan table here and the vintage pendant light cover here. 6. 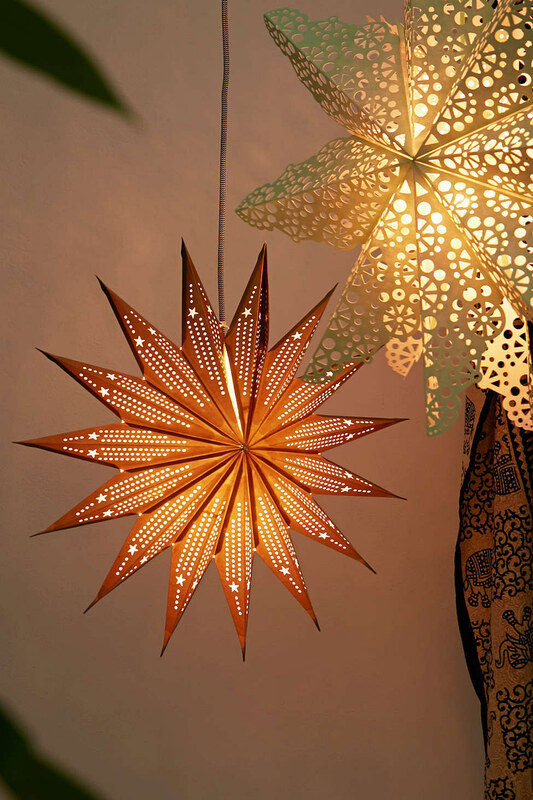 Light up your space with the help of some natural elements. Himalayan pink salt lamps are a great way to add that natural ~hippie goddess vibe~ to any space. The agate night lights will also lend a soft touch as you're falling asleep at night. Find the night lights here and the salt lamp here. 7. Cover your home in comfy cushions. 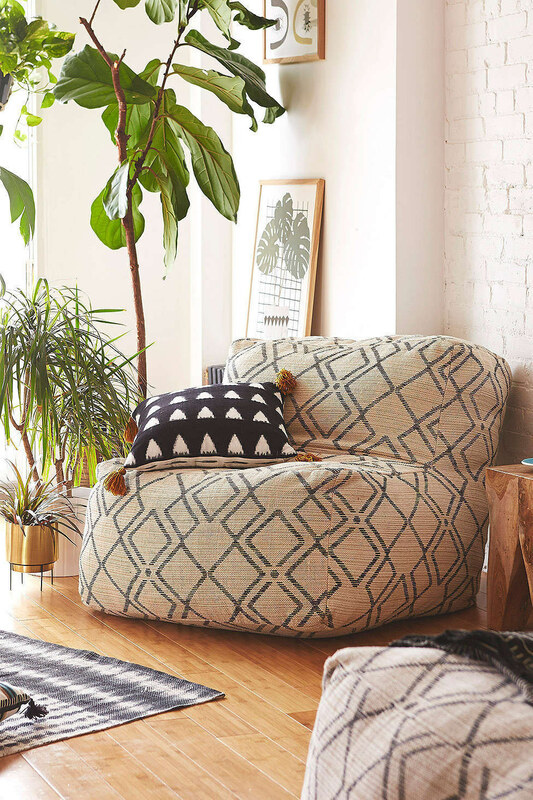 Cozy, cushion-y furniture is a surefire way to make your home feel like a hippie haven. Create a special reading nook, or just keep floor pillows out for extra seating. Find the chair here and the floor cushion here. 8. Bring crystals and geodes into your space. Whether it's for decoration or positive ~vibes~, crystals can brighten up any space and help you stay grounded. They don't have to be large like these ones. Find the geode planter here and the clear quartz here. 9. Rely on indigo-dyed fabric accents. Indigo dyed fabric is like the modern answer to traditional tie-dye. Indigo dye will provide a calming, usually deep blue hue reminiscent of the deep sea. Bring the element of water, or at least something that reminds you of it, into your home for added relaxation. Find the hamper here and the curtains here. 10. 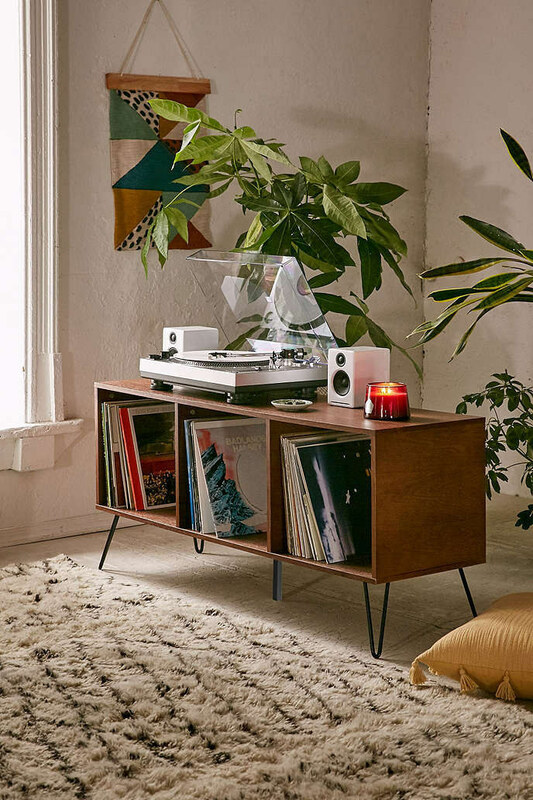 Create a dedicated place for listening to your records. Whether it's a full on media area or just a special place where you keep your records, you'll encourage yourself to relax more if you have a dedicated area to listen to music and chill. 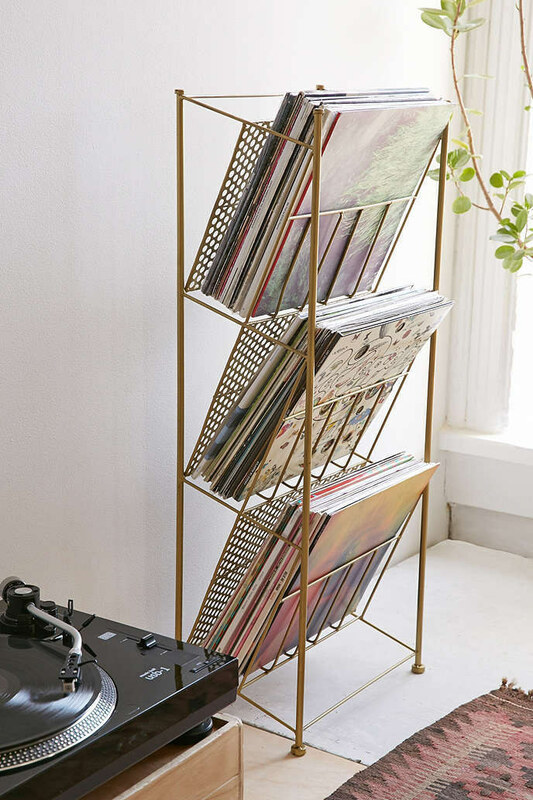 Find the vinyl rack here and the media center here. 11. Indulge your inner free spirit and get an indoor or outdoor rope swing. 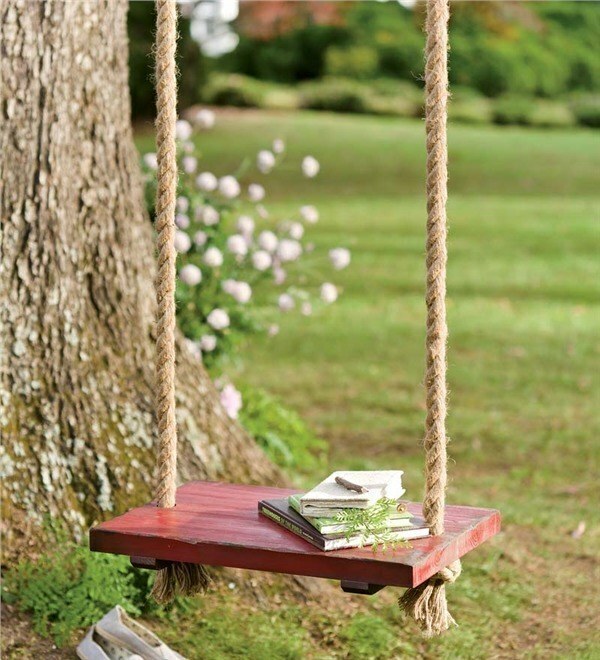 Everyone deserves to swing around after a hard day. Find the outdoor swing here and the indoor mandala swing here. 12. 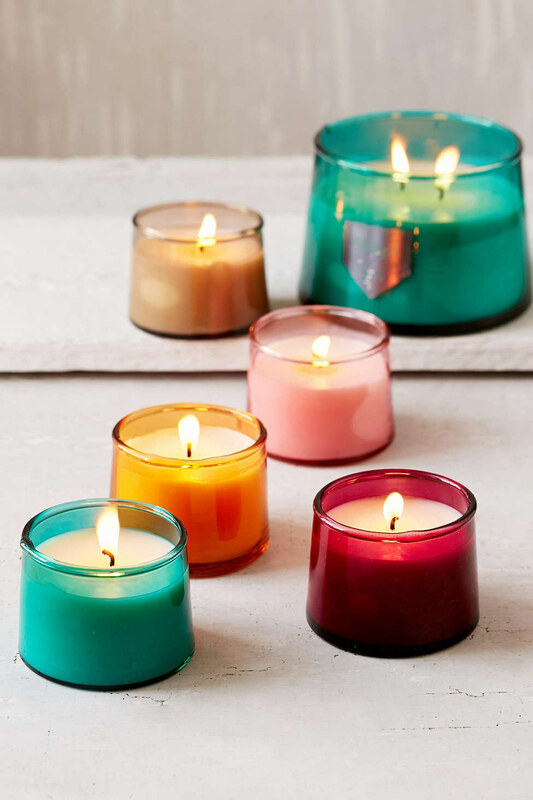 Light up your space with a ton of candles. Candles are the perfect way to create a relaxed, spiritual ambiance in your home. Plus they'll make your space smell amazing. 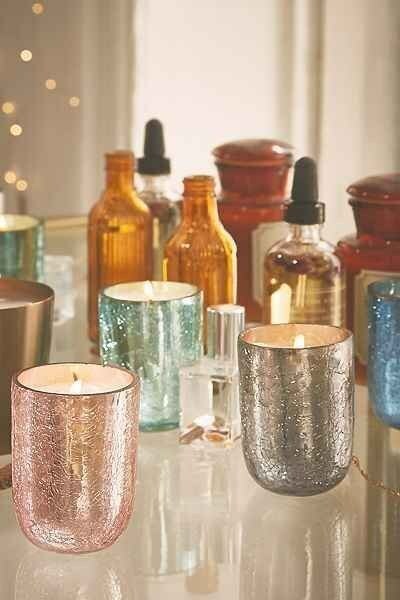 Find the metallic candles here and the colorful minis here. Incense does more than just smell good. It helps to uplift your spirit and bring you to a place of comfort and familiarity. There are a lot of types of incense, so pick a holder that works for whatever type you like- whether it be sticks, cones, wood-based smudge incense, or burning oils. Find the pyramid incense stick holder here and the aromatic purifying wood here. 14. Always have lots of plants, and keep them in gorgeous planters. Plants can not only be purifying for your home but they can also be beautiful accent pieces. The woven basket above is can hold a huge potted plant. Just keep the base in a black plastic planter with a large plastic plate at the bottom of the basket and you can water it safely. Find the woven basket here and the ceramic planters here. 15. 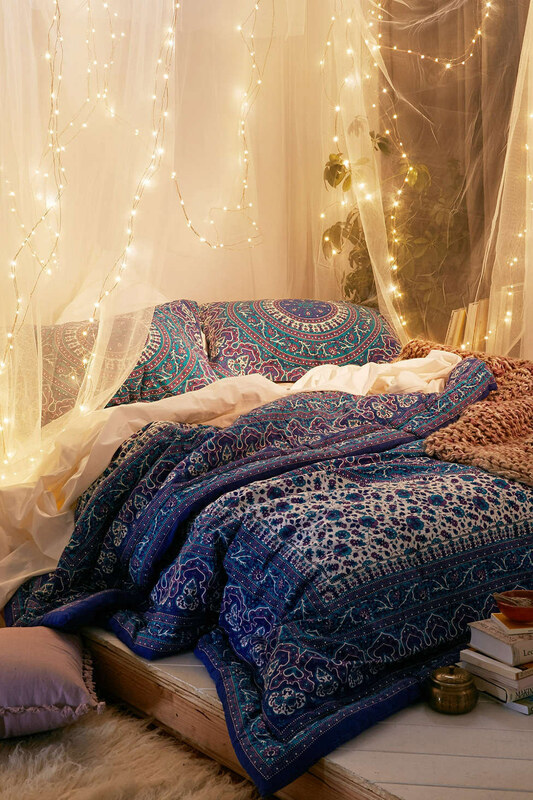 Use twinkly string lighting or paper lanterns to set the mood. The dim lighting will help you calm down at the end of the day so that you can set your intentions and goals for tomorrow with the help of a peaceful glow. Find the string lights here and the paper lantern here. 16. Use baskets to hold everything! Baskets are the best and easiest way to bring color, texture and decor to your home in a functional way. Use them for laundry, blankets, magazines, or pretty much any other stuff you have that needs a home. They make it easy to keep your space clean because you can basically just toss stuff in them- a method of "relaxed organization" generally preferred by the free spirit. Find the wicker basket here and the cotton ones here. 17. Fill your shelves and tables with little decorative boxes, vases and tchotchkes that you love. No hippie home is complete without a little bit of clutter! Just keep things clustered together and they won't feel messy or out of hand. Play around with your grandmother's collection of salt and pepper shakers or a few small decorative jars- but never leave a space totally thread bare! Find the glass box here and the blue-grey vase here.